"BTW, no longer with @MSLF but NEVER retired; busy as ever!" Pendley posted to his Twitter account on Dec. 9, referring to the foundation. But a few days later, Interior Secretary Ryan Zinke announced his resignation from the Trump administration, and Pendley's name became among those floated to replace the former Montana lawmaker. "Conservative activists hope Christmas comes early for those on the 'nice' list of candidates they want to see replace @SecretaryZinke after he resigns. ... [T]he 'nice' list include[s]...former Reagan administration official William Perry Pendley," Pendley wrote on Twitter on Dec. 19, referring to an article in The Daily Caller. "Nice!" Critics of federal land management, including the owners of a Nevada-based church called Ministerio Roca Solida, echoed Pendley's sentiment and began their own campaign to secure his nomination. "At Patch of Heaven, we are very excited to learn that the ... former President of Mountain States Legal Foundation, the folks representing us in our litigation with [U.S. Fish and Wildlife Service], William Perry Pendley, is being considered as a Nominee for Secretary of the Interior by President Donald Trump," Annette Fuentes and Victor Fuentes wrote on their website. "Mr. Pendley is very aware of the struggles in the West and well qualified to fill that spot," they added. 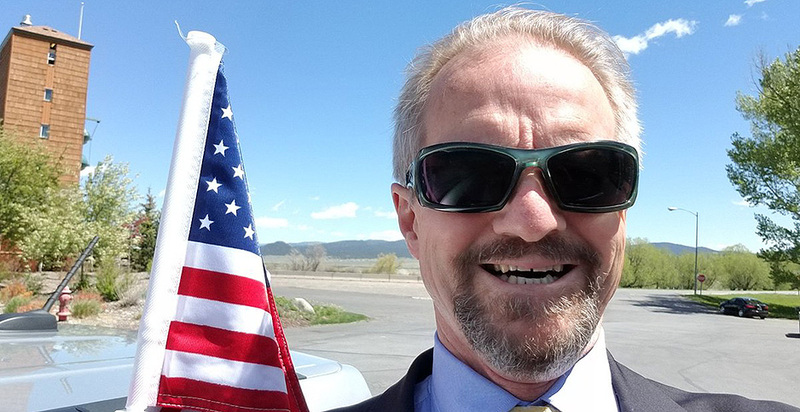 "We have created the petition in order to provide to President Trump showing our support for his nomination of William Perry Pendley, for Secretary of the Interior." Self-described "constitutional activist" Doug Knowles — who publishes the website It Matters How You Stand, which tracks news on the "Grass Roots Patriot Movement" — also sought to boost Pendley's name with advertisements purchased on Facebook. Pendley, who served as a Marine in the Vietnam War before becoming a Capitol Hill aide — working for former Wyoming Sen. Cliff Hansen (R) and what was then the House Interior and Insular Affairs Committee — helped to shepherd Watt's nomination through his Senate confirmation. Mountain States Legal Foundation's executive vice president, Cristen Wohlgemuth, did not respond to a request for comment on Pendley's departure from the foundation. "His future plans are still in progress," Corrigan wrote in an email. "Personally, I wish him the very best, whatever he does next." 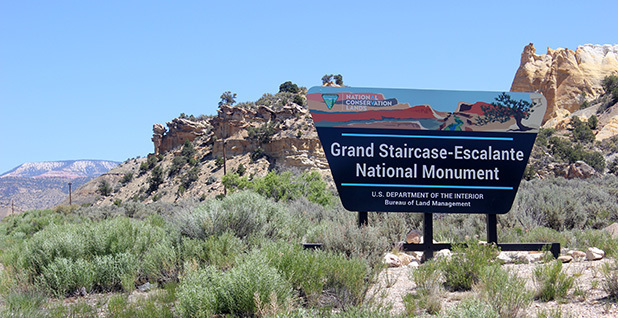 Perry had been listed as an attorney for cases the foundation is involved in as recently as last Friday, when he was formally withdrawn from a lawsuit over President Trump's reduction of the Grand Staircase-Escalante National Monument in Utah (Greenwire, Jan. 14). "Please take notice that ... William Perry Pendley hereby withdraws his appearance in the above-captioned matter as counsel for Defendant-Intervenors Garfield County, Utah and Kane County, Utah. The basis for this withdrawal is that Mr. Pendley is no longer employed with Mountain States Legal Foundation," court documents state. No statement on Pendley's departure is available on the Colorado group's website, although an archived website for Montana's Fairfield Sun Times indicates the foundation issued a press release in late December. "The Board is very grateful for Perry's decades of service," CEO and board Chairman Roy Cohee said in the statement. "Perry's passion and energy have led the foundation to prosper for nearly thirty years. His love of liberty will live on in the important work MSLF does. We wish him the very best in all that lies ahead."